At least a handful times in your teaching career would you have students approaching you in request of a recommendation letter. Whether it be for a job or internship, college admission, or for a scholarship grant, the biggest issue is how to write one. Familiarize yourself with writing official or formal letters by checking out our Sample Letters article. 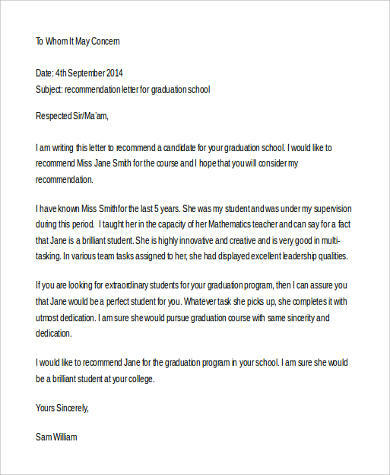 Knowing you are the best person to write a recommendation letter is vital in helping to support your student. This article discusses what to write in a recommendation letter that your student needs. 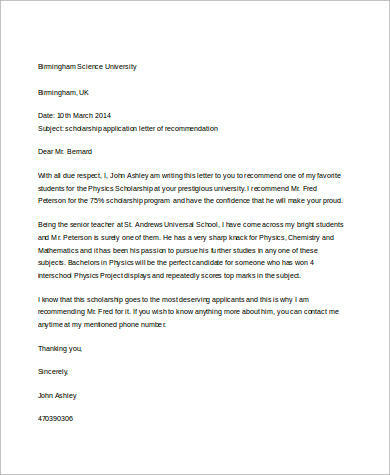 Provided below are samples of recommendation letter you can download for free in PDF and MS Word format to use as a reference material. There are things you need to know and do before and when writing a recommendation letter. Below are a few key points to help you as a guide. The purpose. What is the recommendation letter for? 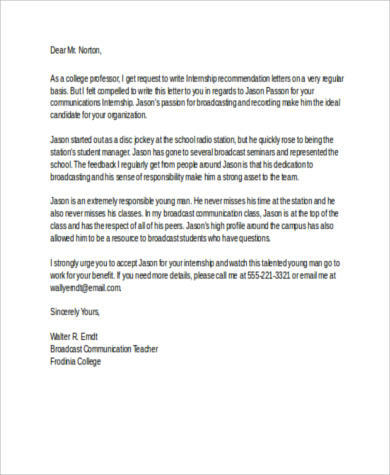 You need to know what your student needs the recommendation letter for. Is it for college admission, for work, or for scholarship grant, you need to be able to understand the nature of what your content should be all about. Your knowledge about the student. Do you know the student well enough to write a supportive recommendation letter? 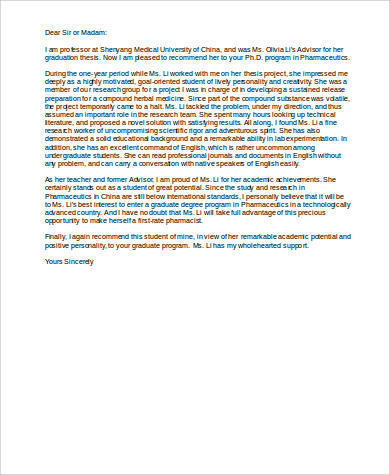 It is vital that you know your student well enough in writing a well-made recommendation letter as most of the time the university or establishment your student is applying for would contact you to discuss further on your student’s skills and strengths, both in academic and extracurricular activities. Meet the student. First, you must meet with your student to discuss about matters that would help you writing the letter. 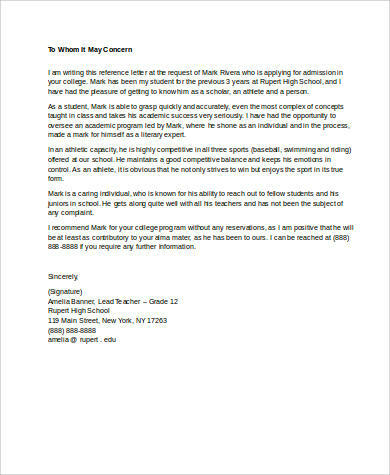 Things like their academic and career goals, choice of university or working place, and other extracurricular activities that may be relevant into writing the letter. A copy of resume and other documents. You must ask for a copy of your student’s resume. It is a good way to find out more about your student and a good reference material as well. It is also good to get other relevant documents that could help back up your judgment. See also College Recommendation Letter Samples. 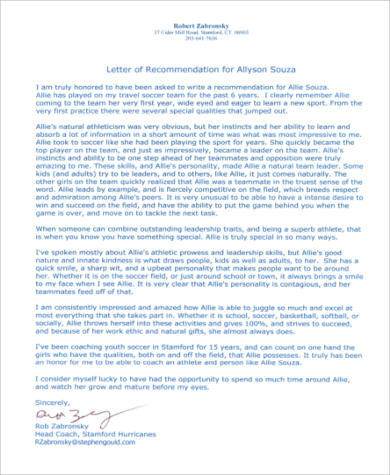 When writing a recommendation letter, you must always remember to keep it formal. 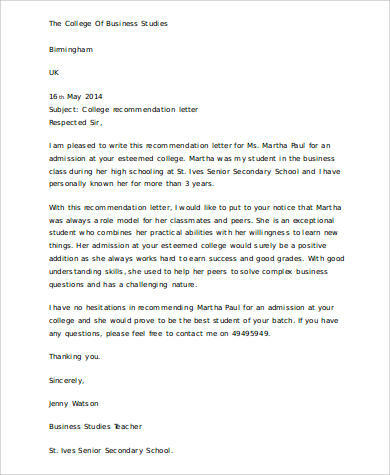 Always follow a typical business letter format, address the recommendation letter to the appropriate person, and print out your letter on the letterhead of your school to show your professionalism. 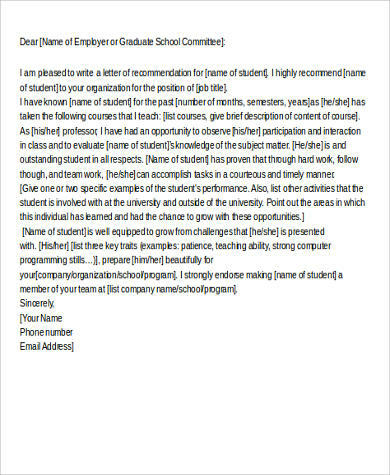 Here are few more notes to follow when writing your recommendation letter. Identifying yourself. You must identify yourself and what relationship you have with the student and how well you know them. You should also discuss the student’s work in your class or if they worked for you, in a context of probably a TA and etc., to establish the relevance of you as the writer. Avoid clichés. While you are writing down your student’s characteristics, it is best to avoid stating clichés or hyperbole lines, and you should be able to provide relevant documents to back up your statements. Qualities and accomplishments. Emphasize the student’s strengths, qualities, and accomplishments. Also, it is best to include an invitation to call you if the receiver of the letter needs further information. Writing a Recommendation Letter Samples needs a lot of preparations in order to help and support your student. By using our samples and remembering the simple notes discussed in this article, you should be able to write one without hassle.